Science of pleasure: Food and drink stimulate the brain. Her pleasure center is bigger than her stomach. James Olds, a behavioral scientist who pioneered pleasure research in the 1950s, thought this was a dismal way to view existence because it dismissed the finer things in life. “For an organism that seeks novelty, ideas, excitement, and good-tasting foods,” he wrote, “the drive-reduction theory was a Procrustean bed.” Procrustes, a son of the Greek god Poseidon, was a rogue smithy who forced guests to fit in his iron bed by amputating their limbs. The most obvious way to study it is to look at sweetness. Like the other basic tastes, the ability to detect sugars is evolutionarily ancient, and its brain circuitry may be the foundation on which other, more complex pleasures are built. The hot spots respond to several endogenous opioids, or endorphins, brain chemicals known for their role in stress relief. Dopamine, meanwhile, in Berridge’s view, is what generates “wanting,” or craving. Both craving and pleasure emanate from deep in the brain, in the realm of instinct and reflex. The pleasure in sugar, in food … in, well, everything, is a cornerstone of a basic behavioral cycle. Among other things, pleasure helps mold the brain’s response for future action. And when pleasure responses get out of whack—as with addictive drugs, or saturating our bodies with high-fructose corn syrup—they can be very hard to correct. 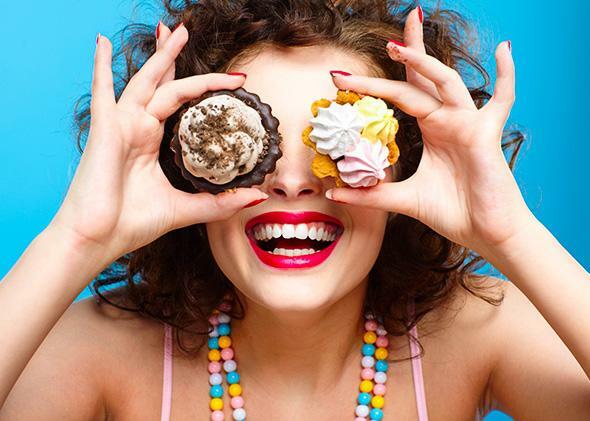 Food has many ways to activate this craving and pleasure circuitry. One experiment, done with mice genetically altered to be unable to taste sugar, found they still preferred sugar water over plain. Somehow their guts were signaling their brains, sending a “this is good!” message through some neural backchannel. The mice could not savor the sweetness, yet somehow they were drawn to it just the same. So the next time you dig into a slice of cheesecake, take a moment to ponder the raw biological power it wields over you. Read more about flavor, from its origins at the dawn of life, through the rise of civilization, up to the strange latter-day sensations created by the food system, in Tasty: The Art and Science of What We Eat.